Improved dental awareness with the advent of preventive dentistry and teeth are retained longer in the mouth. The issue of esthetic concern has reduced due to the introduction of ceramic and lingual brackets. 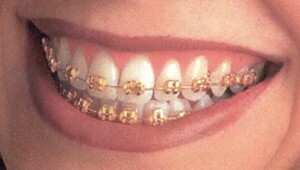 Orthodontics or the wearing of teeth braces is now socially acceptable and can be a sign of affluence. Recommended by general dentists for restorative and periodontal care. This entry was posted in Braces and tagged adult teeth braces, braces cost, braces for adult, braces for teeth, dental braces, orthodontic treatment, orthognathic jaw surgery, teeth braces on March 28, 2012 by oileng. As dental awareness is growing and adult with braces are becoming more socially accepted, an increasing number of adults are seeking orthodontic treatment. Fixed orthodontic appliances (or commonly known as dental braces) include orthodontic devices, which have attachments that are fixed on to the tooth surface and forces are exerted via these attachments using archwires and or other auxiliaries (assisting devices) such as ligature wire. 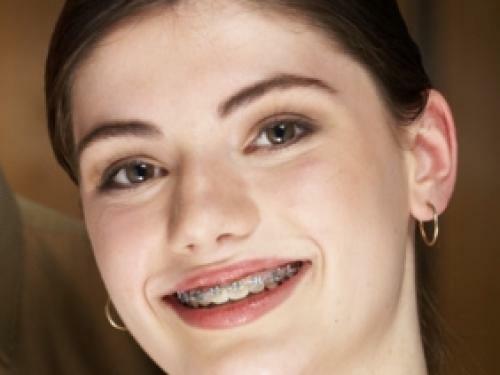 Dental braces are thus capable of a greater range of movements than is possible with a removable orthodontic appliance. The fixed appliance cannot and should not be adjusted or removed by the wearer. 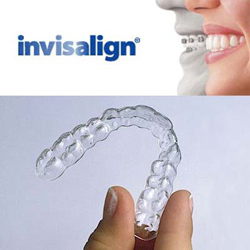 This entry was posted in Braces and tagged adult braces, adult with braces, dental braces, ligature wire, orthodontic braces, orthodontic treatment, orthodontist, teeth braces on March 12, 2011 by oileng.